Tåssjö Kyrka is the small church of the parish Tåssjö. 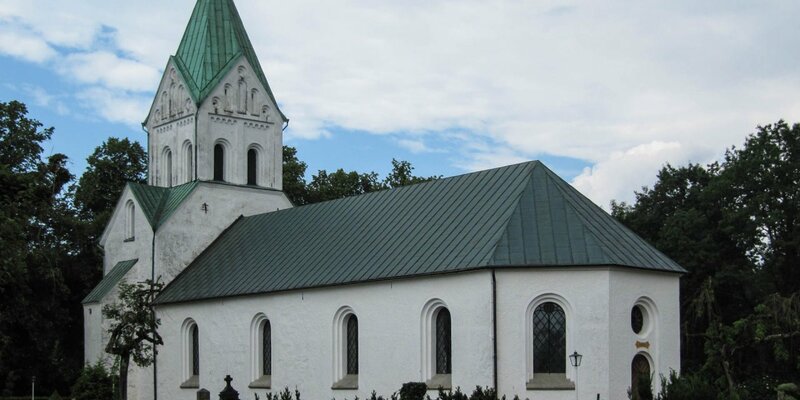 It is dating back to the 13th century and is located near the lake Rössjön, approximately 20 kilometers northeast of Ängelholm. 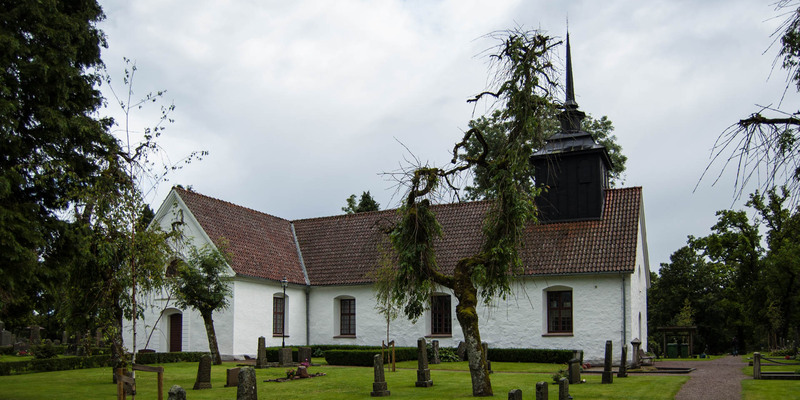 Only a few remnants of the medieval Tåssjö Kyrka have been preserved until today. The baptismal font of sandstone is the oldest inventory of the church and is dated back to the 13th century. The pulpit dates from the 18th century and the altarpiece from 1842. It was donated by Consul Carl Henric Rothdes, the former owner of the nearby castle Rössjöholm. On the southern wall of the church hangs a late Gothic wooden sculpture from the 15th century, illustrating the Coronation of the Virgin Maria. The silver-gilt chalice is from 1579 and according to the encircling inscription donated by a Margrete Toth in occasion of her wedding in this church. There are two bells in the small bell tower on the roof of the church. One was cast in 1772 and the other in 1928. 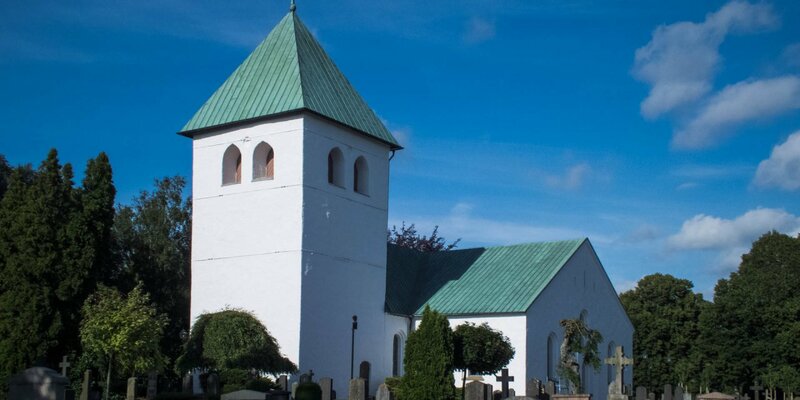 The church get its present appearance after an extensive renovations in the 19th century. The church gate and the entrance hall were relocated from the south side to the western gable wall in 1855. Afterwards the transepts were attached to the northern and southern side in 1860. 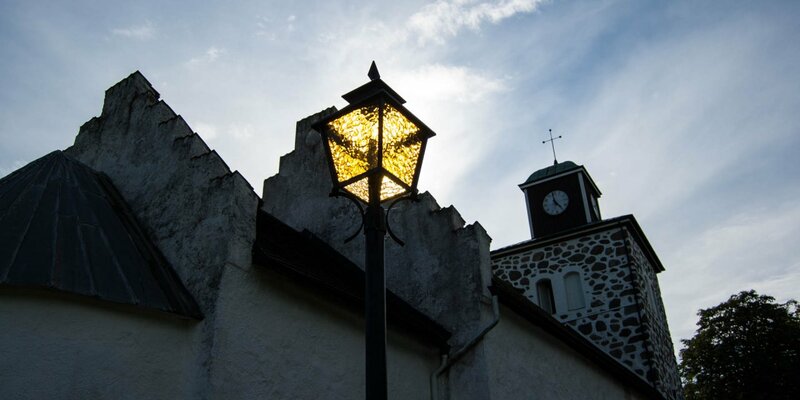 It is not known, when the small bell tower was mounted. During a renovation in 1955 the sacristy was separated from the church and the church received a new floor and new pews.